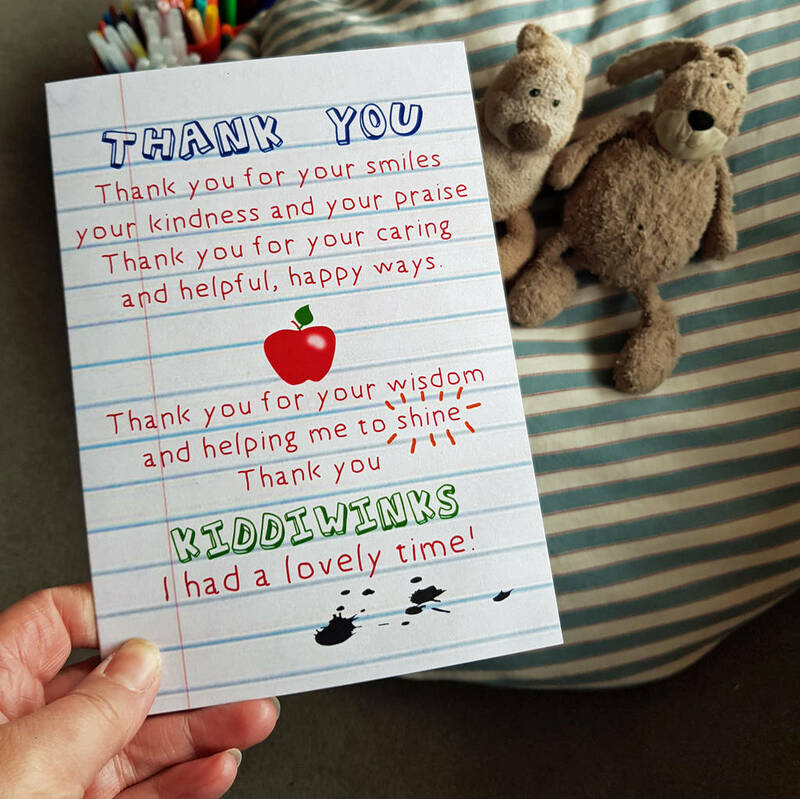 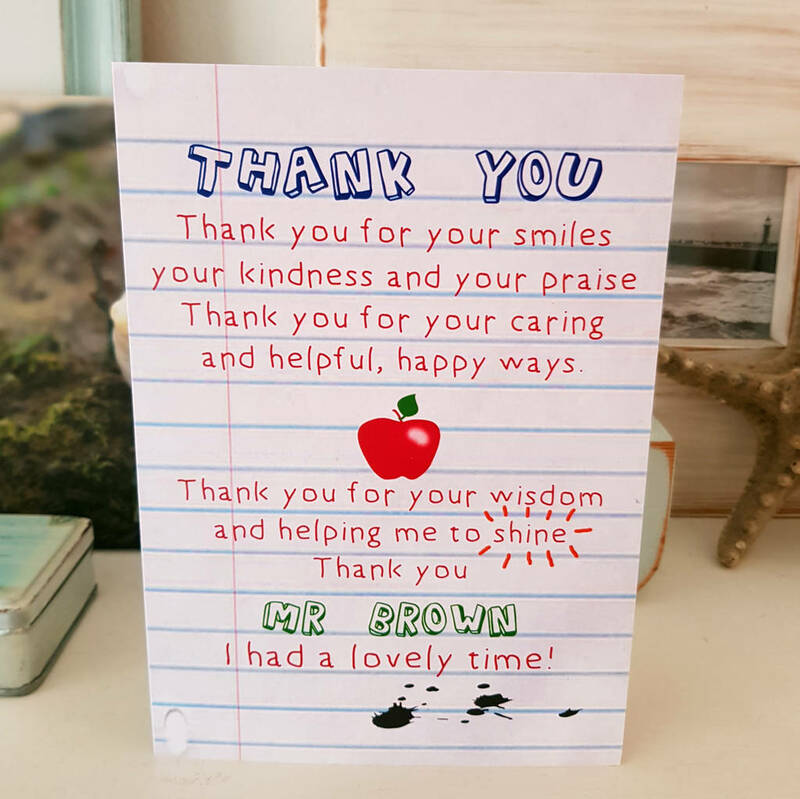 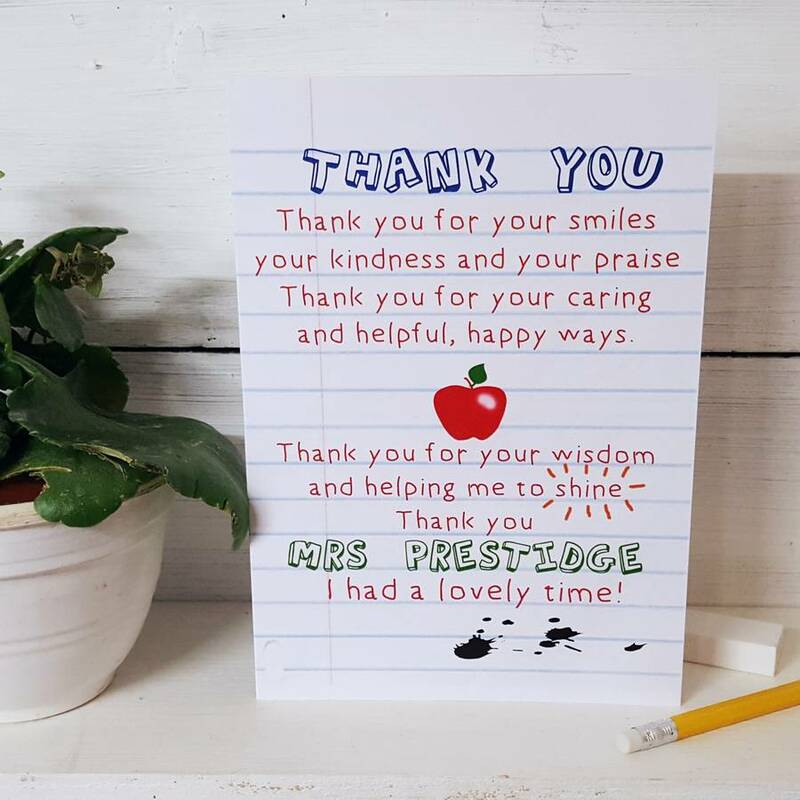 A lovely warm poem to say thank you for caring and helping your child to be their very best! 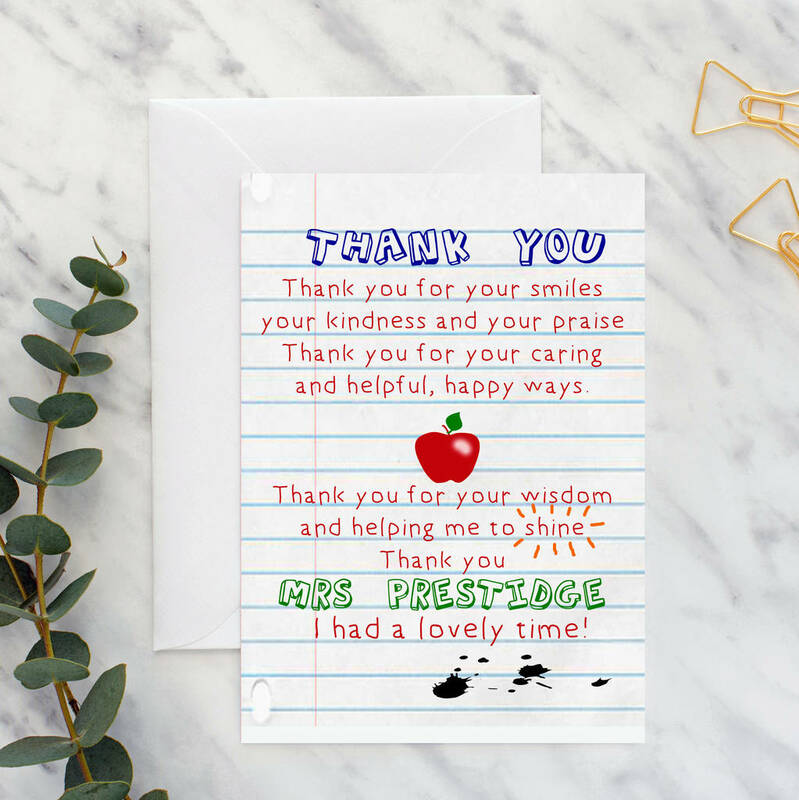 White card with feint ruled lines with poem printed in red, a small apple image and ink splatters. 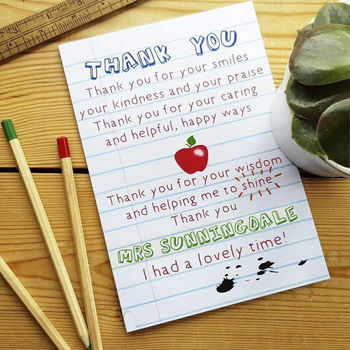 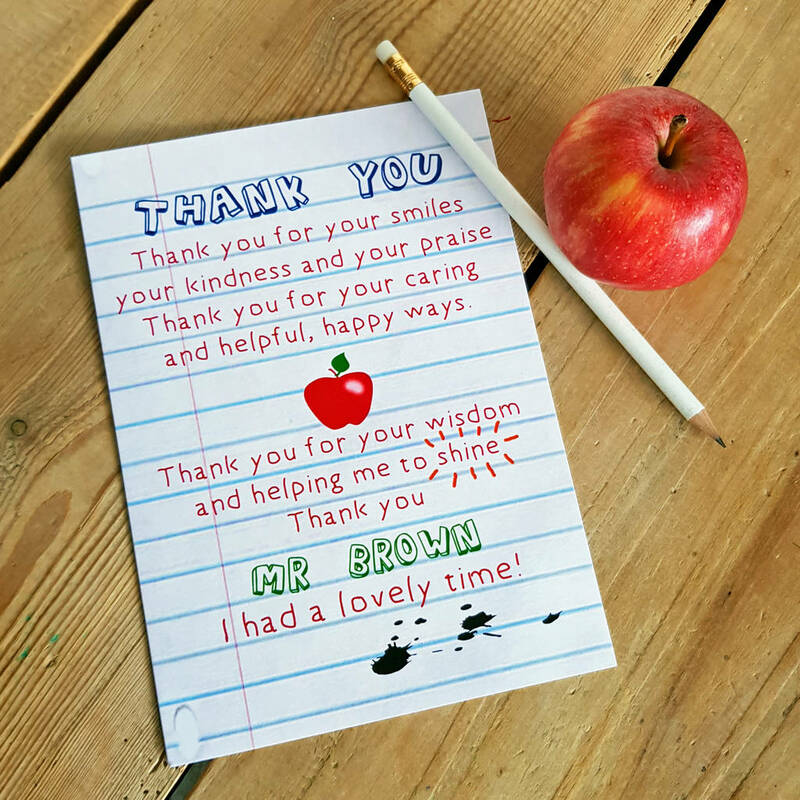 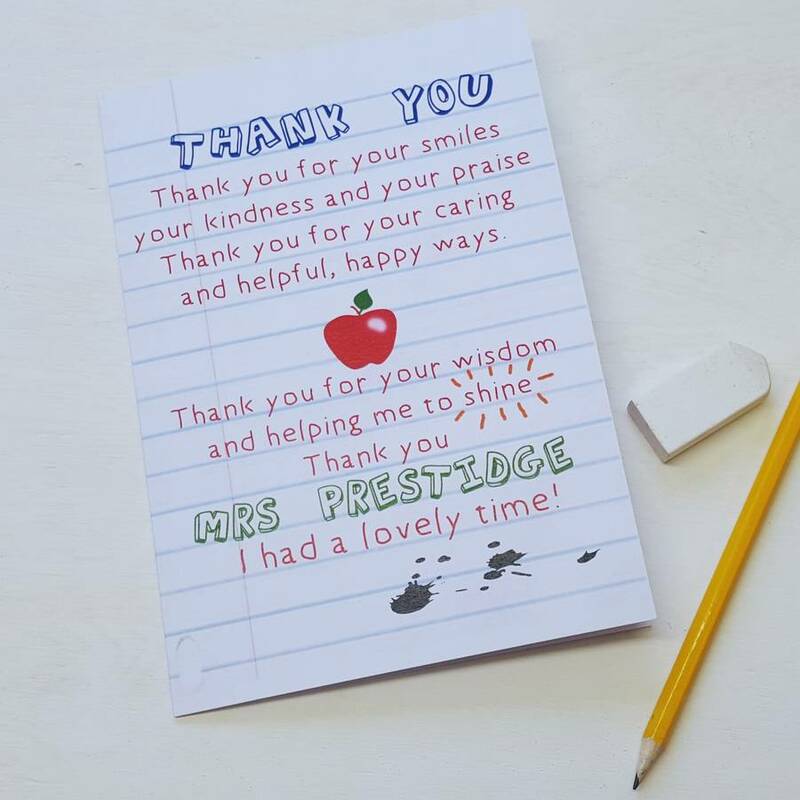 Card can be personalised with your teacher's name for a unique thank you card.